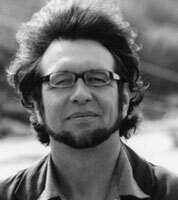 Mikhaïl Bezverkhny was born in 1947 in Saint-Petersburg. At the age of 5, he started his studies with Prof. Liubov Sigal, student of Leopold Auer. After having completed his studies at the Central Music School of Leningrad, he joined the Tschaikowsky Conservatory of Moscow to study with Prof. Yuri Yankelevitch, one of the most prominent violin professors of the 20th century. His career started already at the Moscow Conservatory. He won several international first prizes: the Wieniawski Violin Competition in Poznan (1967), the Chamber Music Contest in München (1969), the Chamber Music Contest in Belgrade (1972), the Violin Contest in Montreal (1972), the Interforum in Budapest (1974) and the Queen Elisabeth Violin Competition in Brussels (1976). Since 1957, he has toured in Russia, Poland, the Czech Republic, France, Austria, Bulgaria, Belgium, Hungary, Germany, Yugoslavia, Spain, Denmark, Sweden, Switzerland, the Netherlands, Israel, England, Mexico, Columbia, the USA, etc. During these years, he has recorded over 40 albums with different recording companies, such as: Melodia, Deutsche Grammophon, Victor and Pavana. He has been the director of the "La Campanella" record company since 1993. Over the course of his career, Mikhaïl Bezverkhny has been very active as violinist, viola player, composer, director, cinema actor and as President of the Artists for Artists ES-SO-ES association. 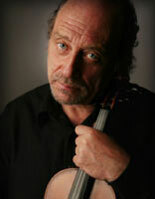 Violinist and pedagogue Robert Szreder, born in 1946 in Poland, teaches violin at the Maastricht Academy of Music. In addition, he is a guest teacher and gives master classes all over the world, including the USA, Russia, Ireland, Poland, Germany, China, and Korea. He studied with Professor Zenon Brzewski at the academy of Warsaw and has won various awards, among which the International Gaudeamus Interpreters Competition and the Béla Bartók Competition in Budapest. He was given the Medal of Honour for Culture in Poland. 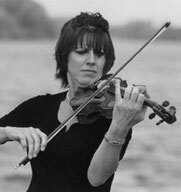 As a violinist, he has performed at a variety of festivals, such as the Holland festival, the Beethoven Festival in Sweden, the Warsaw Autumn in Poland, and the Mozart Festival in the USA. He has toured throughout North and South America, Asia, Poland, Russia, the Czech Republic, Slovakia, Bulgaria, and Hungary, and he has made many radio, television, and CD recordings. He is frequently asked to be a juror at international competitions. 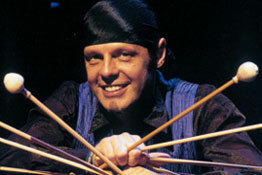 Gian Paolo Luppi was born in 1959 in San Giovanni in Persiceto (Italy). After his classical studies, he graduated in piano, choral music, instrumentation for wind ensemble, composition and conducting. His teachers were B.M. Furgeri, B. Bettinelli, F. Donatoni and A. Solbiati for Composition and T. Gotti, G. Bellini and P. Olmi for Conducting. During his studies, he also attended courses at the Accademia Musicale Chigiana in Siena, the Accademia Filarmonica in Bologna and the Accademia St. Cecilia in Roma. 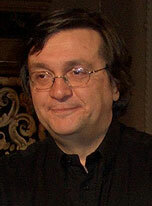 Since 1984, he has been awarded many prizes in composition competitions. Several of his compositions were performed on Italian, Belgian, Spanish, Vatican and Romanian radio, and on many important festivals in Italy, Spain, Greece, Belgium, Hungary and Romania. His works have been recorded by Edipan (Roma), Crescendo (Bari), Quadrivium (Perugia) and Pentaphon (Roma), and published by Peters (Francoforte) and Edipan (Roma). Since 1980, Gian Paolo Luppi has worked as a teacher in various Conservatories, and since 1996 he is teacher of Composition at the "G. B. Martini" Conservatory of Bologna. In 2002, he was a guest professor at the Royal University of Stockolm and, in 2003, at the Royal Conservatory of Brussels. In 2005, he taught Composition at the Summercourse of Mirecourt (France). 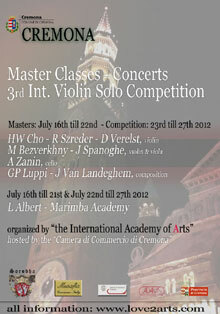 Jan Van Landeghem started his music studies at the Academy of Sint-Niklaas Belgium. As a child he started at early age to play the recorder, the flute, the organ and the piano. Currently, he makes his career as composer (having written over 100 works), as organist, as piano player and as choir and orchestra conductor. 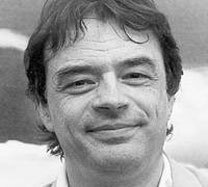 He also teaches at the Brussels Royal Flemish Conservatory and is director of an academy of 1000 pupils for music, theater and dance in Bornem, Belgium.